Very distinct leafy grain. Annual rings combine soft, open-meshed spring wood, and hard, close-grained summer wood. 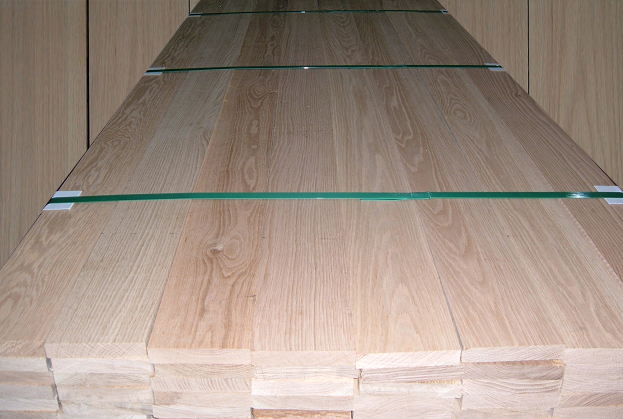 Strong and light, very durable and naturally resistant to decay. Soft, easy to work, sand and finish. The heartwood of cypress contains a natural preservative oil which makes it one of the most durable woods for use in exterior applications. Cypress is a popular choice for greenhouses, building construction, posts, beams, decks, docking, porch flooring, siding and stadium seats. Cypress is also used to make caskets, doors, blinds, sash and other types of millwork. 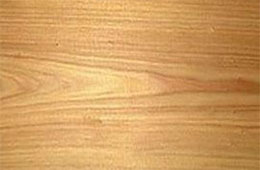 Fine grain cypress is used to make custom cabinetry. Due to its watertight durability, it is also used for cooperage, shingles, in tanks, vats, ship and boat building and to make railroad cars. Cypress machines well, planes easily and resists warping. 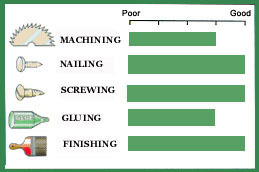 Pre-boring at board edges will help prevent splitting. Cypress nails and screws very well. It glues well, sands easily and readily accepts finishes. Due to the natural preservative oils in Cypress, an oil based primer or sealer is recommended.